On his way to claim an inheritance, Tom, aka Cuthbert Chauncey Dale (Buck Jones), and his pal "Swede" (John Oscar) witness a stagecoach hold-up. The lone gunman escapes but leaves the loot behind and Chauncey and "Swede" soon find themselves arrested for the crime. They manage to escape, however, and later befriends the gunman, Starrett (Wallace MacDonald), whom Tom invites to work on his inherited ranch. Along with a dilapidated ranch house, the property also contains a strip of land separating the wealthy Preston spread from an especially rich pasture. After quarreling with supercilious Lou Preston (Ethel Kenyon), Tom chases her off his property, but Joe Moore (Albert J. Smith), the Preston foreman who is in love with Lou, mistakes the scene for a lovers' tiff. 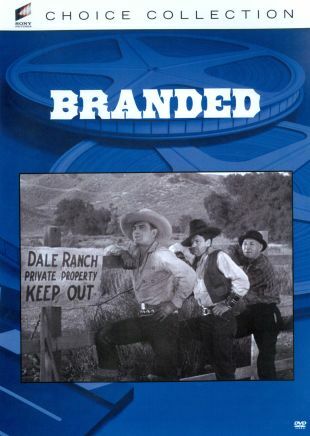 When Tom mortgages his ranch in order to buy cattle, Moore has his buddy Bill Saunders (Robert Kortman) "sell" him cattle stolen from the Preston herd. Believing the newcomer to be a common rustler, an angry Lou gives Tom 24 hours to leave or else! Just then, Sheriff Mac (Philo McCullough arrives to arrest Tom for the stagecoach robbery. Everything is ironed out, however, when a witness to the robbery identifies Starrett, who is killed in a gunfight with Moore. A recalcitrant Lou apologizes to Tom and they embrace.